Today AppBrain launches a new SDK for Android apps: the AppBrain Advertiser SDK. This is an SDK that provides analytics and conversion tracking for Android apps. Over 30,000 apps currently use the AppBrain AppLift SDK for monetization to great success. Apart from powerful monetization, the AppBrain AppLift SDK also provides compelling analytics. These include new and returning users, app versions in use, countries and languages of visitors and more. Today we’re making these powerful analytics available for advertisers too. The AppBrain Advertiser SDK includes all the analytics of the AppBrain AppLift SDK, but leaves out the monetization functionality so your app stays as small as possible. A new addition to both SDKs is the conversion tracking service. The primary focus of advertising is generating installs for your Android app. Yet, generating installs is usually not the actual goal, it’s usually something that the user does within your app. With conversion event tracking, you can know exactly when a user completes an important action in your app. This can for instance be an in-app payment, signing up for a user account on your service, or sharing a piece of content within your app. The AppBrain developer dashboard reports the level of engagement of your users, measured by your conversion events. Soon we will attach the campaign source (referrer tracking) to this data as well, so you can see which sources of traffic deliver the highest quality users. For those of you who are already using the AppBrain promoted app system to promote your app, using conversion events has even more benefits. 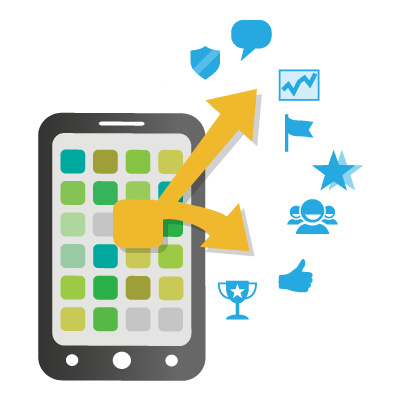 Our targeting systems will use the conversion data from your app to optimize the type of users your app is promoted to. In this way the quality of your promoted installs will increase. More information on the AppBrain Advertiser SDK and how to integrate the conversion tracking is available on our SDK info page.